Every plumber worth his salt knows that plumbing is an incredibly competitive industry. Many labor jobs are going to disappear in the near future due to the looming introduction of artificial intelligence and automation. Thankfully, plumbing isn't going to be one of those industries affected. In fact, The Bureau of Labor Statistics notes that between 2016 and 2026, the industry is projected to grow by 16%. This growth is mainly due to new building construction and building maintenance going forward. While this projection will help many plumbers sleep easier at night knowing that their job is safe going into the future, it does mean that the probability for competition within the industry will get heavier with more individuals and businesses entering the field. When competition stiffens, knowing how to set your business apart from the rest will put you at an advantage. Looking forward, the biggest advantage every plumbing enterprise should consider is investing in increasing your plumbing business' SEO (Search Engine Optimization) ranking on Google. Overall investment in SEO is on the rise. According to media analysts , SEO annual spending is projected to reach $80 billion by 2020. The vast majority of businesses understand that when a prospective customer starts their search, they are going to use a search engine above all to initiate that search. If you aren't appearing on the first page of the generated search by the prospect, you are going to miss out on countless sales to a rival business. They'll do all of this within a matter of minutes, and if you're not one of the first few websites that they scan over, you might as well not exist at all in their eyes. So let's look at the various strategies associated with boosting your SEO strategy for your plumbing business. Keyword optimization is the cornerstone strategy involved with SEO. Keyword optimization is essentially the art of matching what the customer is looking for during their search and communicating how you will appeal to that searcher with the search engine (primarily Google) . In this scenario, location-based keywords are what you want to use in order to bring the customers to your page. 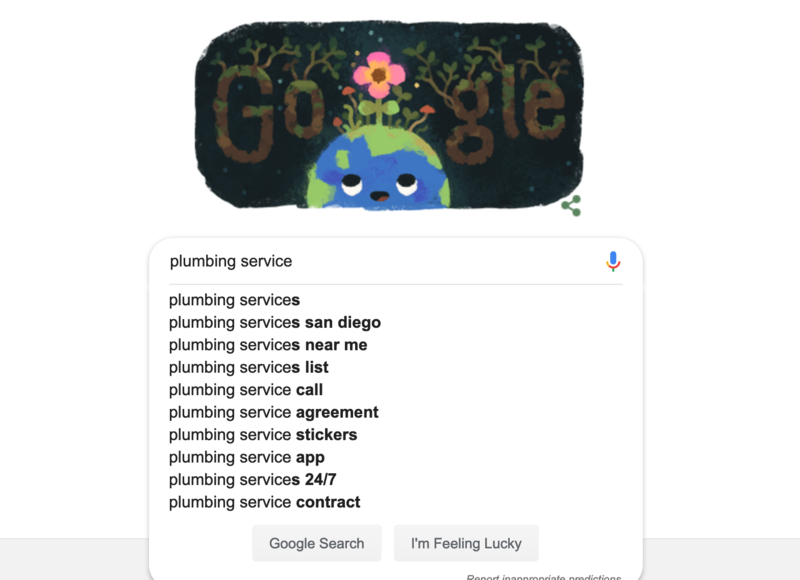 When a prospect conducts a search for "plumber near me" or "plumbing services in San Diego" you are using keyword optimization to try and become the first business the customer sees in their Google search. Pro Tip: If you haven't setup a Google Analytics account to track your site and what the visitors of your site are currently searching for when they've visited, it's highly advised you do so. Within Google's search algorithm, one key contributing factor remains the most influential above all other factors: the interlinking of other websites. When you offer up to the world valuable content that is then linked back from your site, Google sees this as adding credibility to your site and rewards the site with increased SEO. Now you might be thinking this might be hard within the plumbing industry. Not true at all. One of the surest ways of having your site interlinked with other credible sites is through review generation. Reviews--especially positive reviews help build credibility within the interlinking structure. Google trusts the customer and when the customer says something positive about your business you will see your SEO efforts start to pay off as a result. Pro Tip: Leverage Housecall Pro’s Review Booster to automate your review generation process and boost your SEO efforts. Sign up today for a free 14-day trial to boost your reviews. Google is an extremely fast and efficient worker. It has the capabilities to scan, judge, and react to a site's performance within nanoseconds (ever see how many search results are made by Google within a fraction of a second whenever you perform a search?). Over 6.5 million results for the term plumber seo in just .43 seconds! Pro Tip: Use Google’s Page Speed Insights tool to see how fast Google thinks your plumbing site is. The best part of this is, Google tells you how to improve the speed of your site for free! SEO strategy can be overwhelming for even the most savvy consultants. Google is constantly updating its algorithm and tweaking what is important in terms of SEO ranking. Understanding where you fall in the scope of SEO can often feel confusing. But it doesn't have to be. With Housecall Pro and SEO Audit, you can get a comprehensive report illustrating where you stand within SEO and what steps you need to take in order to reach skyrocketing performance. By simply putting in your website URL, SEO Audit provides suggestive action encompassing keyword improvements and comparing your score with your closest competition, giving you a competitive advantage to crush the local market. 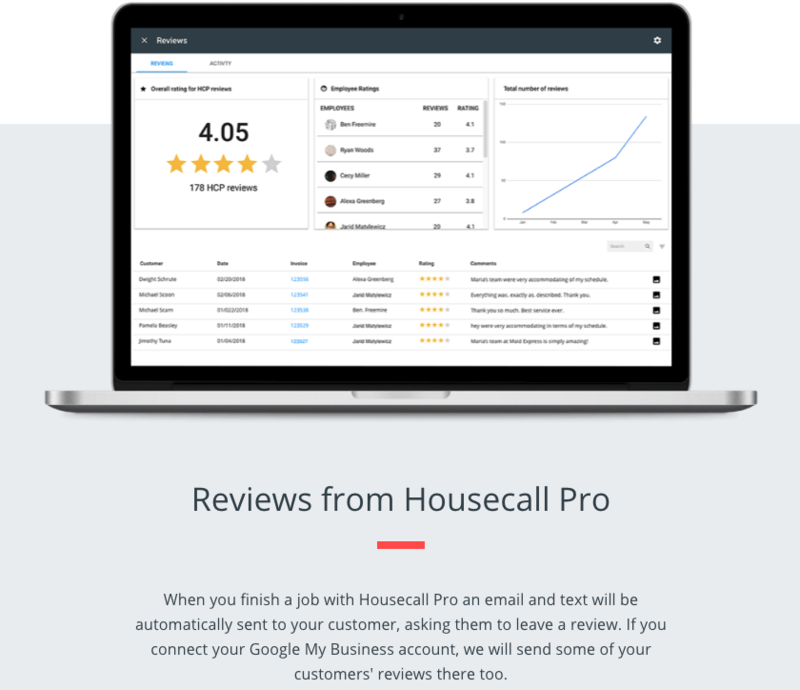 Housecall Pro is the all-in-one software for Plumbing businesses to track your employee routes, text directly with your customers and book more jobs. Sign up for a free 14-day trial. 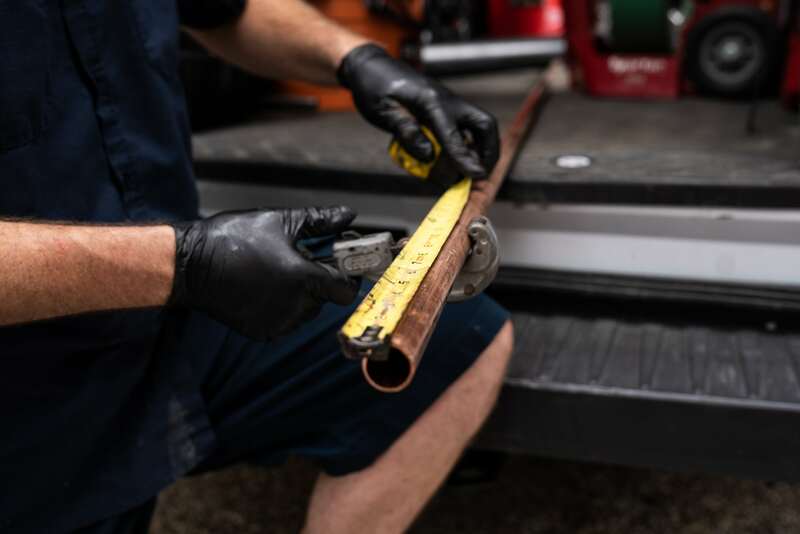 With the information you're now equipped with, the only choice you have is to see your site and business rise to the top of everyone's search for their next plumber.